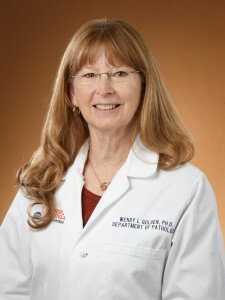 Dr. Golden has been the Director of the Cytogenetics/Cytogenomics Laboratory since 1989. This laboratory provides cytogenetic and molecular cytogenetic services to the UVA Medical Center and surrounding clinics. These services include conventional karyotypic analysis for malignancies and constitutional samples, FISH analysis, and chromosomal microarray studies.